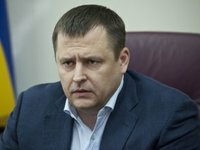 Ukrainian parliamentarian Borys Filatov, who was recently elected as the mayor of Dnipropetrovsk, has resigned as an MP. "[I] submitted a letter on abdicating my deputy powers. Tomorrow the letter will be considered by the committee on regulations. I want to be alike the other deputies with second jobs," Filatov wrote on his Facebook account on Tuesday.